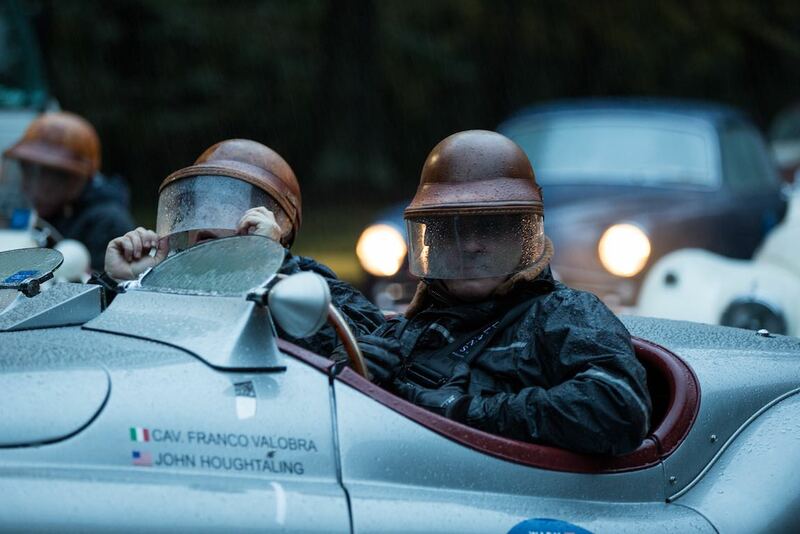 For the first time, the famous 1000 Miglia brought its endurance race outside the Italian borders and to the United States from October 25-27, 2018. 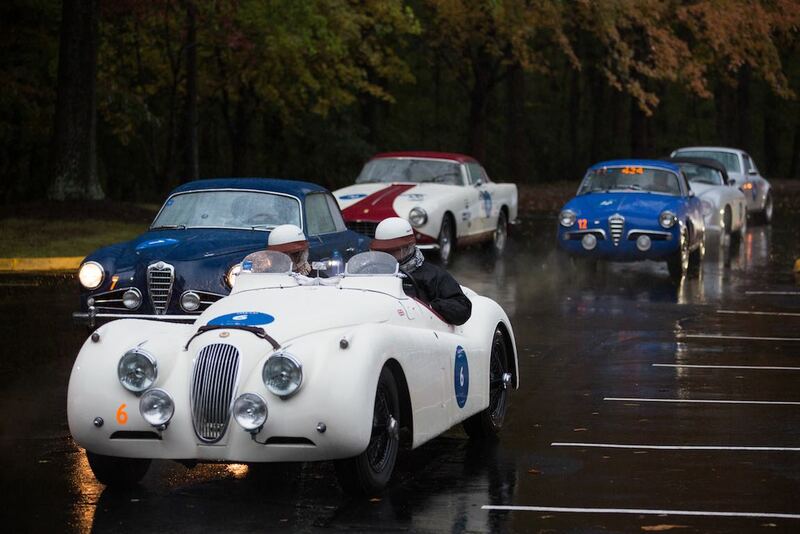 In conjunction with the Italian Embassy and the Historic Vehicle Association (HVA), the 1000 Miglia Warm Up USA featured a taste of the event once dubbed by Enzo Ferrari as “the most beautiful car race in the world.” The last day the classic car rally covered more than 150-miles of some of the most scenic areas in Virginia, Maryland and Washington D.C. before finally crossing the finish line on Italian-soil at Villa Firenze, the official residence of the Italian Ambassador to the United States of America. There were 18 classic cars participating in this event, three of which were the “1000 Miglia Official Cars” out of the race. Competitor’s vehicles consisted of a variety of American, Italian and European manufacturers, including a 1928 Alfa Romeo 6C 1500 SS; 1928 Bugatti Type 40; 1950 Jaguar XK120 Alloy; 1951 Cisitalia 202 SC Cabriolet; 1956 Alfa Romeo Giulietta Sprint Veloce; 1956 Ferrari 250 GT Boano; 1957 Porsche 356 Speedster and 1961 Mercedes-Benz 300 SL Roadster. 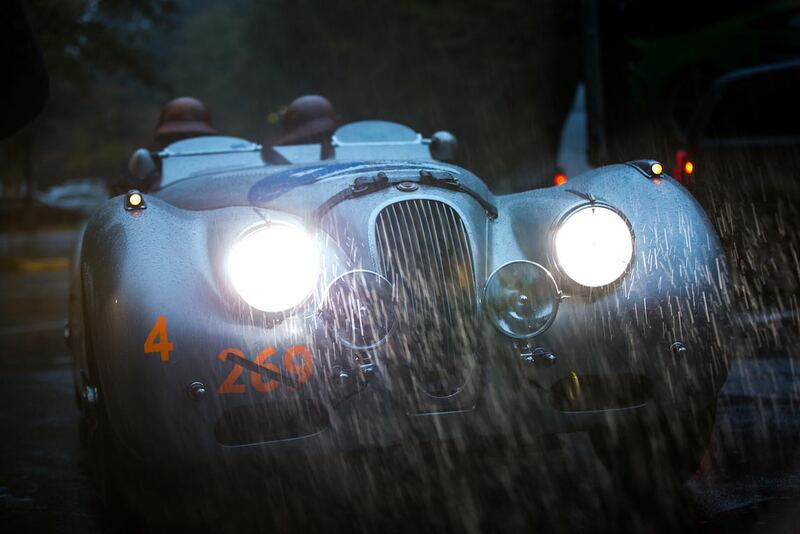 Driving a 1952 Jaguar XK120 M, John Houghtaling and his navigator Franco Valobra arrived at Villa Firenze as winners, finishing first in the speed-distance-time rally. Participating teams celebrated the first-ever 1000 Miglia Warm Up USA with a special awarding ceremony hosted by the Ambassador of Italy Armando Varricchio at his residence in Washington D.C. 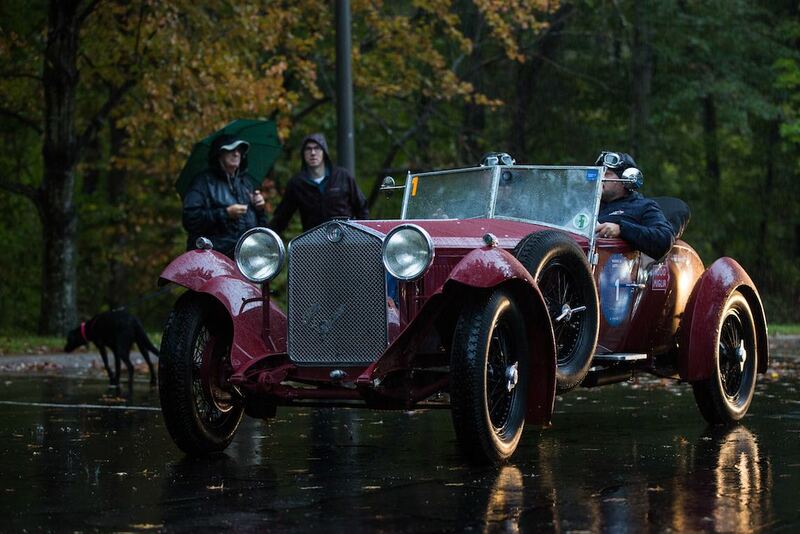 The inaugural event launched the beginning of future USA activities and comes exactly 90-years since the first American cars, a Chrysler Model 72 and a Cadillac LaSalle, participated in the 1000 Miglia in 1928. Why the the end of October? Obviously it’s not an optimal time of year for this rally in that part of the country. We do an annual R Gruppe (early 911) event just south and west of Staunton, VA, the last weekend of September. The drives are in the mountains and cross between WV and VA. We have usually lucked out with the weather, but a few times just barely. It has snowed three days after our rally a couple of times. 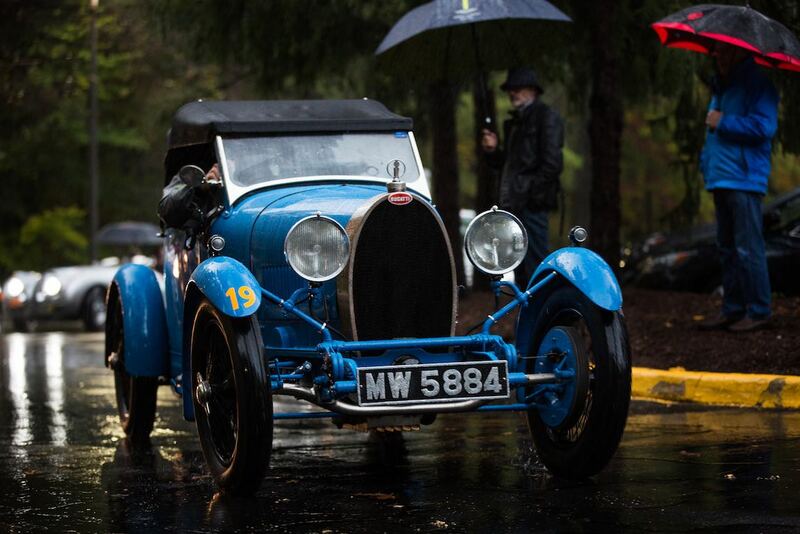 Holding the Mille Miglia USA event a full month later is realy pushing your luck. I think you were lucky that it was only a cold rain, but early September would be a lot more fun for the drives. I love driving in the cold rain with the top down. Reminds me so much of when I was young and stupid. Vive gli imbecile! I can relate to the young and stupid comment. I used to love to drive an MGA, in college, in northern Michigan, all winter with the top down in the ’60s. Not something I relish so much any more. I don’t believe this is the first time the Mille has tried to breech American soil, there was another Mille Italian group that tried to do this a number of years ago. The California Mille still ticks on however. This was an event co-sponsored by HVA as I remember. It was to generate interest and if you opted in, you could be “pre-entered”; a difficult endeavor for an event that has thousands of entries. 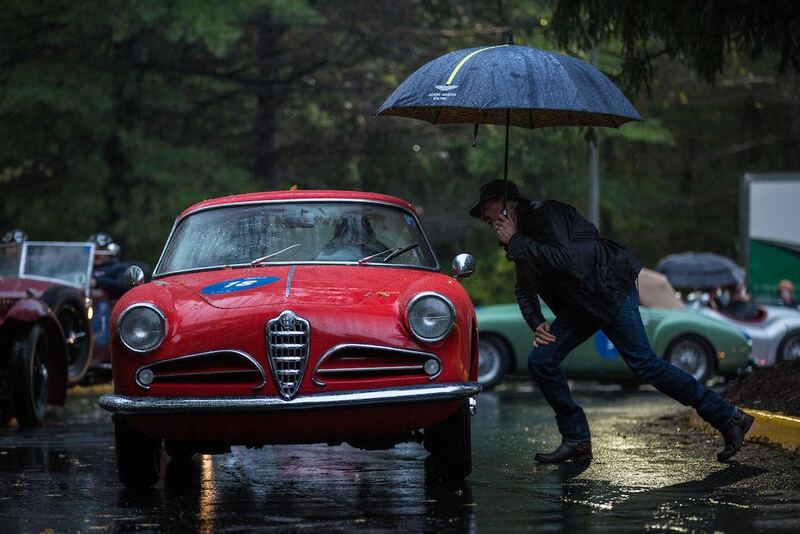 BTW the red Alfa Romeo is not a 1900 but a 750 Giulietta Sprint. OOPS! I may be wrong. It might be a 1900. 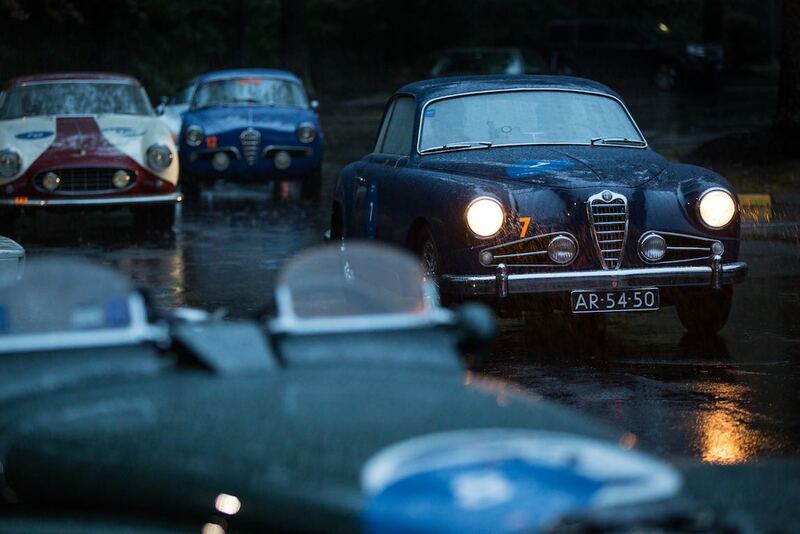 It seems to me, as an officer in the local Alfa Romeo Owners Club and the owner of several classic Alfas, that this was intended to be a stealth event. I know of none of the other local club chapters – Porsche, Ferrari, etc. that were notified. 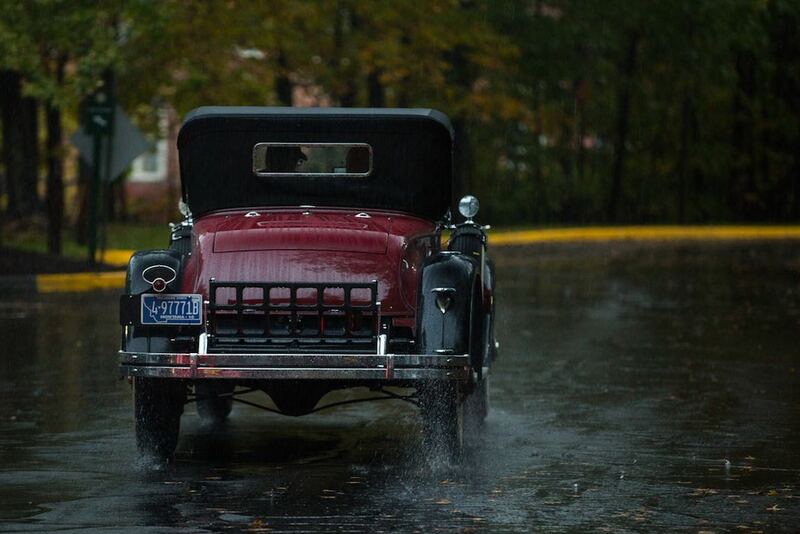 But certainly we would all have loved to have seen this parade of cars, even if wet. We never saw any solicitation for entries, announcement of route, anything. In fact, the first we heard of the event was on this web site. Certainly, holding an event like this is not going to stimulate interest in participation or even in viewing–so, why?